Hospitality is a term that represents the business practices that are designed to make the customer pleased with the manner in which various services offered to them. In present business scenario, various business sector are incorporating the various practices of hospitality industry to ensure highest levels of customer satisfaction from their services. It is worth noting that this trend is more implemented and followed by the companies which are active in the intangible service offering organizations (Brymer, 2002). 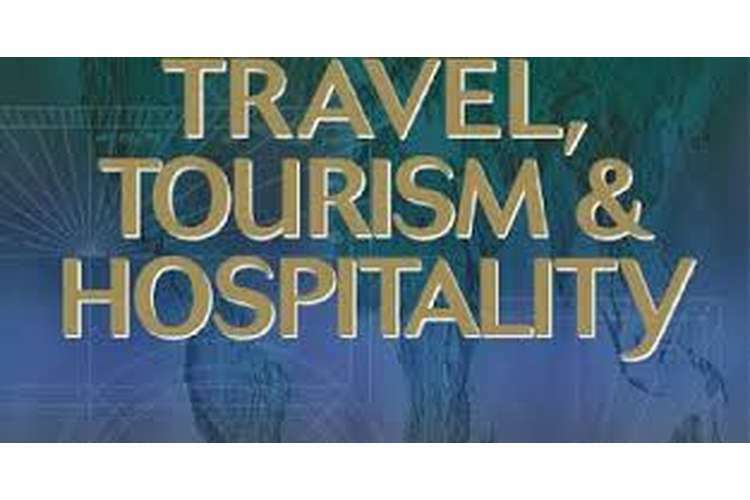 The paper discusses the role of hospitality practices in the tourism and travel industry. By analysis of a case study, the paper also presents the methods which need to be used while developing a plan for increased quality of hospitality services in the industry. In recent decades, the term hospitality has continuously modified its meaning and has become a very popular trend in various sectors. By now, the term can be referred to different practices in operations depending on the sector hospitality industry is implemented in, for example- tourism and travel industry, public services and government organizations. As introduced by many authors, there are different attributes to hospitality industry that are essential to follow relationship among the people involved in the task of hospitality whether the person is playing role of a guest or of a host (Hall and Schulz, 2011). Tourism industry is quite different from other industries in aspects of the product it is offering, while most companies and industries rely on the tangible products, the tourism sector provides a service that is satisfactory to the customer only by the pleasant experience they get (Jagels, Coltman and Coltman, 2004). For this reason, the tourism and travel industry cannot be separated from the practice of hospitality industry as it is the key feature of any tourism service provider. First of all, there are numerous component in the business and customer services of the tourism sector, for instance- the food, lodging services, the local places of tourism attraction, and transporting services. However, the common aspect in all of these T&T sector services is the component of hospitality which is integrated in all the services offered by the tourism and travel organizations. In addition to this, all the components of the tourism industry are connected with each other in a well-arranged manner. So, in order to ensure the highly satisfaction of a single customer, the T&T organizations need to make sure that all of the components of the service sector are well optimized for customer needs, and the aim of this practice is to make sure the customer feels comfort and pleasure in the services offered by the organization (Kandampully, Mok and Sparks, 2001). The practices of hospitality also need to implement in the travel part of the journey as well to ensure customer’s satisfaction from this common and vital part of tourism. For example- implementation of hospitality in the food and beverages sector would assist the origination to earn customer satisfaction with this aspect of service, and implementing proper hospitality methods in transportation will ensure that the customer is comfortable during the journey (Kotler, Bowen and Makens, 2006). Similarly, all the other components of the tourism industry also need effective implementation of hospitality practices. This showcases how beneficial and essential the hospitality services are for the purpose of tourism industry. The final product or service offered by the T&T organizations are intangible and can only be measured by a customer in terms of how good he felt about the services offered to him by the organization. It is the best practice scenario for the T&T organizations to make sure that their services are highly customized to satisfy the needs of the customers and make their journey and stay a pleasant memory (Laws, 2004). Various common practices of hospitality in the T&T sector include greeting the guest on his journey and stay, offering a clean room, providing services in a delightful manner, and offering help in various tasks of their journey such as suggesting local attractions, hotels or events that are taking places nearby. 1. Location: With the advent of a location there are great benefits associated with this factor. The most preferable factor for choosing a destination is the location advantages, the prime location and the location near the airports, railway stations and peak visiting places are prefer first rather than the locations on the outskirts. 2. Transport: The transport facilities should be proper and adequate to make the ransom approach in the context of the tourists to make them comfortable and satisfied. A good transport and convenient facilities always attracts the customers to visit the place, for example in USA million of customers are coming each day because of the transport adequacy. 3. Product and packages: The product and packages should be designed comprehensively making the organization available with the potential benefit. Good designed and professionally accepted packages are attractive to the customers. These packages are comprehensively designed with the traits and characteristics of the costs. 4. Staff training and development: A developed human resource is always a bid factor of the organization success making the global benefits to the organization and they are making the skills and knowledge of the staff. They are able to perform well with these features and they are able to attain high profitability. Training modules should be prepared well and it should be consistently change. These all the features when incorporated in a plan make the strategy effective to make the rational development of the organization. With the features of the location and the transport facilities the incorporation is making the dwell traits in the business and it will help in increasing the potential profits to the business. In recent decades, the term hospitality has continuously modified its meaning and has become a very popular trend in various sectors. By now, the term can be referred to different practices in operations depending on the sector hospitality industry is implemented in, for example- tourism and travel industry, public services and government organizations. As introduced by many authors, there are different attributes to hospitality industry that are essential to follow relationship among the people involved in the task of hospitality whether the person is playing role of a guest or of a host (Hall and Schulz, 2011). There are numerous components in the business and customer services of the tourism sector, for instance- the food, lodging services, the local places of tourism attraction, and transporting services. However, the common aspect in all of these T&T sector services is the component of hospitality which is integrated in all the services offered by the tourism and travel organizations. In addition to this, all the components of the tourism industry are connected with each other in a well-arranged manner. So, in order to ensure the highly satisfaction of a single customer, the T&T organizations need to make sure that all of the components of the service sector are well optimized for customer needs, and the aim of this practice is to make sure the customer feels comfort and pleasure in the services offered by the organization (Kandampully, Mok and Sparks, 2001). The practices of hospitality also need to implement in the travel part of the journey as well to ensure customer’s satisfaction from this common and vital part of tourism. For example- implementation of hospitality in the food and beverages sector would assist the origination to earn customer satisfaction with this aspect of service, and implementing proper hospitality methods in transportation will ensure that the customer is comfortable during the journey (Kotler, Bowen and Makens, 2006). Similarly, all the other components of the tourism industry also need effective implementation of hospitality practices. This showcases how beneficial and essential the hospitality services are for the purpose of tourism industry. The Royaland theme park has its basic model consisting of family hotels, numerous fast food centres, and game centres for the kids. This kind of setup is appealing to the local community members as well as the tourists. Tourists visit the park mostly for its royal theme and architecture. As the primary business model of the hotel follows the hotels and fast food centres, hospitality elements become an essential feature of the Royaland Park. The effective construction of hospitality services at Royaland Park ensures that the customers remain happy and pleased with the services offered at the park. The hospitality services at the park are designed in customer-oriented manner, and allow the park to earn high level of customer satisfaction by identifying the expectations of the customers, and then fulfilling these expectations. This way, the success of Rolland Park relies, to a good extent, on the effectiveness of hospitality elements. Windsor region is popular hub for the tourists coming from domestic locations as well as other overseas cities. Among other high profile attractions located at Windsor, the Royaland theme park is one of the attractions that appeals to a large number of these consumers. Expansion of the park and increased hospitality elements at Royaland would increase the popularity of Royaland. This will eventually lead to Royaland becoming a more popular tourism destination located in this region, resulting in bringing more domestic and overseas tourists to the region. This impact will not only assist the economy of the region, but will also help the other tourism attractions in Windsor region. There are several negative highlights and drawbacks in making the popularity of any place like we have done in Windsor, we can be available with the congestion in the traffic where the municipality and other corporations are not able to make the proper arrangements and resources to make the tourists happy and satisfied. The main drawbacks in the city with this congestion are noise, untidiness and making the city less resourceful and high consumption of the resources. This section of the paper discusses the various reasons that establish the high importance of hospitality industry in the T&T sector. Whether the aim of the service is commercial or personal, the success of the hospitality services depend on the understanding of basic human nature and knowing what services can keep the guest happy with the hospitality environment. In the tourism and travel sector, the practices of hospitality are very important and key factor to earn customer satisfaction. It is a continuous process in the tourism and travel sector, which continue throughout the journey or stay of the customer, and consists of deep understanding of the needs of the customer and delivering tailored services to the customer in a pleasant manner. An example of the lack of hospitality services in the hospitality industry can be given by a hotel where there are no doormen to open the doors for guests even if they are carrying luggage bags in both hands, they are not greeted on arrival and upon confirming their reservation they are provided with a room key and are told to find their room on a particular floor (Prideaux, Moscardo and Laws, 2006). As irritating and annoying this can be, use of proper hospitality services make the stay of the guests that much more pleasant. Good hospitality services earn the tourism organizations loyal customers and good publicity in the modern world, where the tourists share their experience with the whole world on popular websites like TripAdvisor.com. As this can become a tool of reliable marketing or bad publicity in the industry depending on the effectiveness of the hospitality services implemented by the organization, it is essential that the tourism and travel organizations follow the hospitality guidelines to achieve the targeted success. Royaland is a theme park that is following the theme of conventional royal British era. The theme park can certainly various benefits it would receive from integrating the hospitality practices. The final product or service offered by the Royaland Park are intangible and can only be measured by a customer in terms of how good he felt about the services offered to him by the organization. It is the best practice scenario for the Royaland Park to make sure that their services are highly customized to satisfy the needs of the customers and make their journey and stay a pleasant memory (Silva and Howard, 2006). Various common practices of hospitality in the T&T sector include greeting the guest on his journey and stay, offering a clean room, providing services in a delightful manner, and offering help in various tasks of their journey such as suggesting local attractions, hotels or events that are taking places nearby. An example of the lack of hospitality services in the hospitality industry can be given by a hotel where there are no doormen to open the doors for guests even if they are carrying luggage bags in both hands, they are not greeted on arrival and upon confirming their reservation they are provided with a room key and are told to find their room on a particular floor. As irritating and annoying this can be, use of proper hospitality services can make the stay of the guests that much more pleasant at Royaland Park. Vertical Integration: With the advent of a vertical integration the location are choose which thus there are great benefits associated with this factor. The most preferable factor for choosing a destination is the location advantages, the prime location and the location near the airports, railway stations and peak visiting places are prefer first rather than the locations on the outskirts. Horizontal Integration: The horizontal integration includes transport facilities should be proper and adequate to make the ransom approach in the context of the tourists to make them comfortable and satisfied. A good transport and convenient facilities always attracts the customers to visit the place, for example in USA million of customers are coming each day because of the transport adequacy. Lateral Integration: The lateral integration lies in product and packages should be designed comprehensively making the organization available with the potential benefit. Good designed and professionally accepted packages are attractive to the customers. These packages are comprehensively designed with the traits and characteristics of the costs. A developed human resource is always a bid factor of the organization success making the global benefits to the organization and they are making the skills and knowledge of the staff. They are able to perform well with these features and they are able to attain high profitability. Training modules should be prepared well and it should be consistently change. For the expansion of the Royaland Park and integrating a five star hotel in the park, large investment is required by the Royaland Park management. The various options available to the park management include raising funds from its existing individual investors, to seek new investors, or to merge with another park or tourism organization. It is a possible choice for the Royaland Park to analyse its option of merging with the other popular park in the vicinity, which is Thorpe Park. The previous section of this paper included and analysed the various growth strategies that can be used by Royaland Park to increased its productivity and expand the business venture of the company in more service sectors or territories by maximising the use of resources effectively and increasing the productivity of the employees as well as the organizational structure (Woodside, Mazanec and Crouch, 2000). The recommendation section of this paper would provide a critical analysis on the information available about the growth strategies that can be selected by the Royaland organization. The aim of this section is to assess the practicality and feasibility of the various external growth factors available to the company such as merging, acquisition, and joint venture formation. On basis of the discussion about the external methods of expansion and growth, and the secondary sources of learning from past experience, the following recommendations are well suited to fit in the existing business scenario of Royaland organization. It provides an excellent approach of implementing the recommendations to proceed with the external growth factors (Nandi, 2012). Performing growth monitoring to effectively expand in new territories by analysing the most optimum technique of growth such as merger, acquisition and joint venture. In reference to the Royaland Park, the internal and external analysis can provide more information about the various factor that can influence the decision of park expansion. Royaland Park has a unique brand value in the London. It has a very old British themed legacy. Enjoys London based recognition in industry. Strong presence in London’s market of Park industry and established infrastructure in this vast region. Can develop more strategic alliances with other organizations such as Thorpe Park. That company is not having great talent pool in London based market of park industry. As the company is highly focused on monetary costs, the park manufactured by the company lack some of the more advanced features which are commonly found in the western markets. A lot of funding is required by the company which might bring down the cash levels of the organization. A large number of companies throughout the world, are in the process of developing their own economy park which might give stiff competition to Royaland Park. Currently there in no monopoly in that market. Political factors often influence the strategic formulation through laws of intervention and government. Royaland need to follow the political views of the government to stay on the right side of the road to avoid future complications with new laws getting passed by politicians. Economy is a big factor that affects the strategy of any commercial organization. The strategy development process of Royaland should adequately define the budgetary requirements for the strategy implementation. As human resources within the company and the target consumers are part of the society, it plays a vital role in formation of strategy. The strategy implementation should be acceptable by the local community and social perspective. Technological factors affect the way a company develops its strategy as it provides the basic framework for implementation of strategy. It is always essential for the company to keep investing a fair share in R&D department of the company (Porter, 1990). Environment issues like pollution and use of natural resources may also affect the strategy of the company. Environmental risks needs to be assessed and kept minimal in all cases. Legal issues restrict the strategy of the company by the law. The new strategy should follow all the applicable laws. The decision of opening a five star hotel in the Royaland Park should be taken based on various factors such as stakeholder’s analysis, other strategic growth options, etc. Strategic growth is an approach that makes use of systematic and predetermined practice of different methods in order to move towards the organization goals. For the Royaland Park, the existing structure includes three mid-range 3 star hotels. This allows the park to attract tourists and local community members who are looking for good hotels in mid-price range. For the park management, increasing the revenues would require implementing a new strategy that appeals a unique market segment. One option to do this strategically is by establishing a five star hotel in the park vicinity. This option would allow the Royaland Park organization to grow and appeal to a larger share of the market. Stakeholder analysis helps the organization to gauge how realistic the implementation of a five star hotel in the park vicinity is. Stakeholder analysis helps the organization to understand the needs of the various stakeholders and analyse their capacity to oppose reform. “In addition, it provides an idea of the impact of reform on political and social forces, illuminates the divergent viewpoints towards proposed reforms and the potential power struggles among groups and individuals, and helps identify potential strategies for negotiating with opposing stakeholders” (World Bank, 2014). Stakeholder analysis is the process of identifying all the stakeholders in a business organization and then evaluating their role and importance in the company decisions. Stakeholders of an organization can be primary of secondary. However, in process of stakeholder analysis the stakeholders are analysed on basis of their influence (Karadzhov and Blitterswijk, 2009). The process of stakeholder analysis is important for an organization to realize which of the stakeholders are important for the company and which stakeholders can be ignored while making a decision. A common approach of performing stakeholder analysis is stakeholder mapping which categorizes all stakeholders based on their priorities. The two factors that are considered in stakeholder mapping are influence or power of the stakeholder and the interest of the company in the stakeholder. Critical analysis of the various factors that may have impacted the organizational structure of Royaland Park is required to ensure that company continue to expand in new territories without the issues it faced previously. For this purpose, the analysis of various factors like company finances, human resource management, physical company structure, and talent pool management is essential. The analysis of Royaland company report suggests that the Royaland organization requires a significant amount of rethinking in order to implement its strategy of expanding into the newer market territories. The high competition and changing environment of park industry is also an important factor in development of the valid strategy for Royaland. The process helps the company in identification of the issues in existing organizational structure of the company as well as describes the driving factors in processes like advertisement, promotion and the other factors that can attract the consumer towards selection of services offered by Royaland Park. It is highly essential for the company to make sure that the customer satisfaction is at the very core of its strategies and various marketing plans. Any strategy developed by the company should be based on the wide analysis of the resources and knowledge gained by the organization. Higher utilization of company resources is absolutely necessary and the strategy needs to take this factor into consideration before implementing the strategy of expansion. The change in the decision making process of the consumer needs to be the basic knowledge behind the development process of company promotion (Stacy, 1993). Royaland organization is ambitious to seek any possible opportunity to expand its business in new market regions, and is dedicated to design services that are highly consumer oriented to provide the park service solution to consumers in a way the consumers would prefer. Other than the traditional mediums of promoting its services in existing and new market territories, Royaland Park should also indulge into the new trend of social media marketing and should use the platforms like Facebook, Twitter, Instagram and Vine to promote its services to a large pool of potential customers in an effective manner. The strong sense of marketing tactics would allow Royaland to cover a large portion of the market and attract more customers. First of all we will go to have a contract with a builder for the beautiful premises. Then we develop the products we meant for sale in that complex and with the competitive advantages of the process we will determine the highest and global potential of the customers. We will develop an approach which will be useful for the customers with the prices and other potential products. Literary sources of project management suggests that the companies should focus on the knowledge of sales by analysing the past experiences, as it will provide assistance to the company in achieving the various goals set for the promotion of the company (Hughes, 2014). It is important to measure the marketing budget allocated by the company to come up with the strategy for current and future promotion campaigns designed to appeal to the potential consumer in new territories towards the Royaland Park services. The various requirements and benefits of developing a five star hotel in the royal and park can be assessed using a project charter. The project is comprising of the development plan that expands the area of Royaland Park and implements more services in the park such as a five star hotel in the vicinity of the park that appeals to the affluent group of people in the city while all the existing services available in the park are mostly family restaurants and mid-level hotels. The project development plan assumes that the merger process with the Thorpe Park would not have any legal issues in completion as the new five star hotel in the Royaland Park is opening with assistance of Thorpe Park. The expansion plan has opened ways for the merger of two of the most popular and renowned theme based parks in UK. The expansion of the park would allow it to cater its services to more customers. The expansion of the park includes development plans for a new five star hotel in the park, this would increase the market share for the park in upper earning class of people. The construction group would assess the requirements of the expansion needed in the park and would construct the park accordingly. The park is opened at full capacity. Sponsor: The sponsors in any project are the people funding the complete project. They are the trustees of the project and are not directly involved in the project tasks. However, managers provides them updates on the progress and issues faced in the project. Project Manager: Project managers is the person responsible for the section of team, budget management, timeframe development and other tasks related to the safety and completion of the project. Team Member: A team member is a person who is working on the project or individual task included in the project. Customer: In this project, customers are the people who would visit the Royaland park and the newly developed five star upon its completion. Subject Matter expert: Subject matter experts in this project are the specialized personnel hired externally for the project planning phase. The conventional strategy approach by Royaland organization makes use of a generic strategy framework in developing the strategy that has its focus on cost effectiveness, ability to understand the direction a strategy is taking, and assessing the various needs of the company, in order to develop an ideal strategy for the company. The various factors involved in the strategy making process of Royaland Park are to ensure that the new strategic approach is handling the wellbeing of all company stakeholders and has a futuristic approach to it. A well planned strategy would not only mark strong presence of Royaland in new territories, but would also earn the company a loyal consumer base. They should be developing the utilization plan for the talent pool and the available resources and expanding the market share on basis of innovation products and increased quality of services for the good promotion of the company services in foreign markets to create a brand image of a London based leader in park industry. They should also concentrate on the performing growth monitoring to effectively expand in new territories by analysing the most optimum technique of growth such as merger, acquisition and joint venture. Hospitality practices are essential in advancement of any service model based organization. The paper discusses the project management practice and used by one of the top theme park companies in London. The paper analyses various aspects of the business as well as the possibility of an expansion of the park which would also include a five star park. It is concluded that the Royaland Park may also form a merger with the Thorpe Park to attract more customers and to develop a more recognized brand. Brymer, R. (2002). Hospitality & tourism. Dubuque, Iowa: Kendall/Hunt Pub. Co.
Hall, K. and Schulz, C. (2011). Hospitality. New York: Ferguson Pub. Jagels, M., Coltman, M. and Coltman, M. (2004). Hospitality management accounting. Hoboken, N.J.: J. Wiley. Kandampully, J., Mok, C. and Sparks, B. (2001). Service quality management in hospitality, tourism, and leisure. New York: Haworth Hospitality Press. Mack, S. (2014). What Is Organic Growth Strategy? [Online] Small Business - Chron.com. Available at: http://smallbusiness.chron.com/organic-growth-strategy-57130.html [Accessed 2 Nov. 2014].